Adrian Mapp is now in his second term as mayor of Plainfield. His agenda is focused on rebuilding Plainfield’s economy and creating opportunities for residents, leading to a renaissance with a half-billion dollars in redevelopment projects. He has implemented legislation addressing paid sick leave for workers, economic inequality, health, and educational disparities. He was a member of the Plainfield City Council for 16 years, and a Union County freeholder for three. 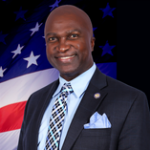 He’s the director of finance and QPA for the City of Orange and serves on the Local Finance Board for the state of New Jersey; he is chairman of the New Jersey Black Mayors Alliance and central vice president of the New Jersey Urban Mayors Association.